A compressed air system in the shop allows you to concentrate on the woodworking. 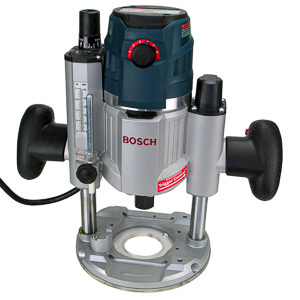 If properly design, there is always enough air to power your tools. We all want one. 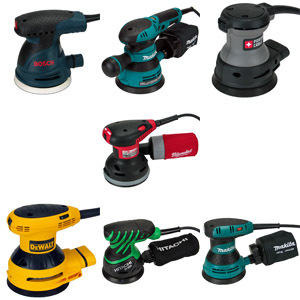 A quality compressed air system allows you to run professional air tools in your shop. Lets take a look at what it takes to build one. 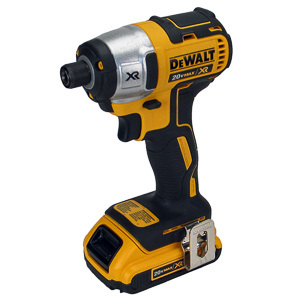 A one man home shop needs a compressor that can drive the most air hungry tool you will ever use. In most cases that's a sander or spray gun. I suggest you purchase a compressor than can drive this load continuously without stopping. Bigger is better. Installing the pipes and drops in your shop takes time and money. If you save on the compressor, you'll end up with a non-performing system. Finding a quality tool is what Hingmy is all about. The machine database has all the information you'd ever want to know about air compressors (Air Compressors on Hingmy). It's very hard to find a definitive answer on the internet about what pipe is the best for compressed air. Industrial shops use expensive black or galvanized pipe. Even tough these pipes can rust they an economical choice for an industrial shop. In a commercial environment pipes need to withstand the daily abuse from things banging into them. Black pipe is the best choice for this. 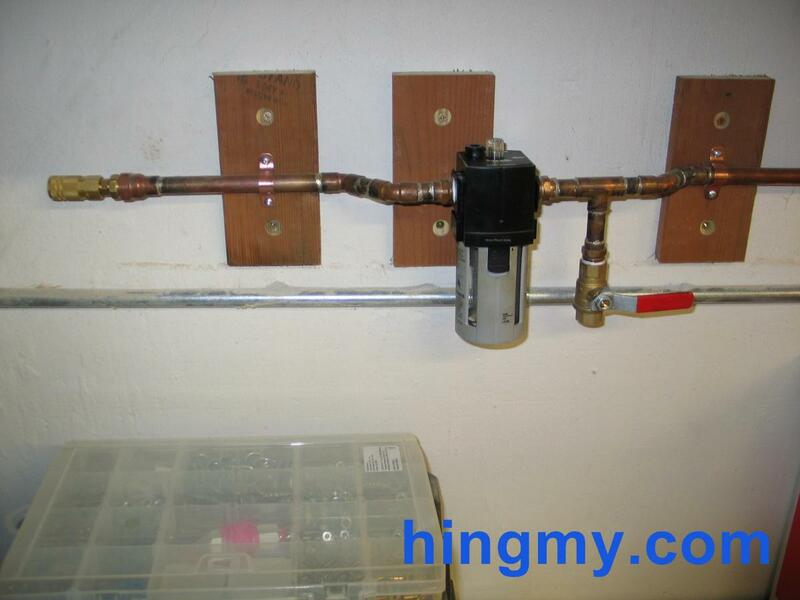 Some home shops have compressed air systems made from PVC or plastic pipe. While the burst strength of these types of pipe is typically within tolerances, the pipes can fail catastrophically. Plastic can shatter into shards. Add compressed air and you have shrapnel flying through your shop. All it takes is a sheet of plywood hitting a line. For this reason and the fact that a similarly priced option exists, you should stay clear of PVC piping. Somewhere in the middle on the strength scale between plastic and black pipe you'll find copper tubing; the kind used for water pipes. You can get it at any home center. Turns out copper is perfectly suitable for compressed air. 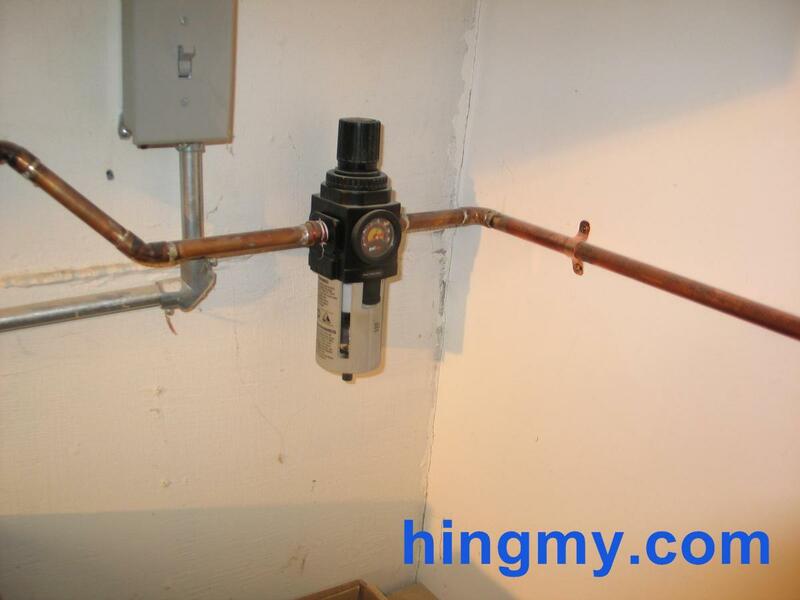 The Copper Handbook lists the burst pressure of type-M copper, the weakest kind, as many multiples of the ~200psi a residential system will reach. Copper does not rust. It does not explode like PVC. Fittings are available at any home center. Copper is also reasonably cheap. 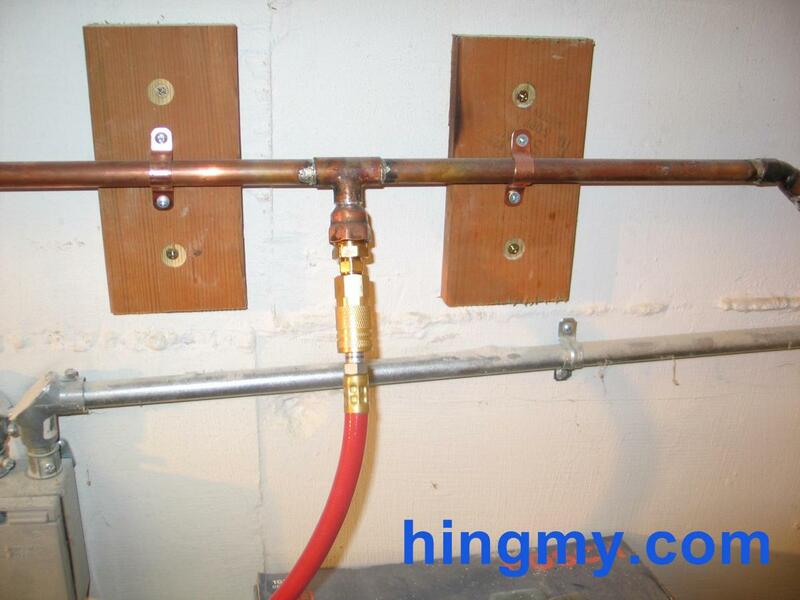 In short, for most residential shops copper piping is the way to go. Period. Type L or K piping, the slightly more sturdy kind, is recommended for compressed air applications. The ticker walls have a better chance of handling impact damage. Given the space constraints of a residential shop and the assumption the system will drive only a single tool, 1/2"; pipe is more than enough for your main line. Hoses used today are predominately 1/4";. The extra capacity in the main line ensures that the pressure drop caused by friction does not add up. If your install uses a lot of 90 degree corners or long runs, you should do the pressure calculations. In most cases this will not be necessary. Now that we have an air source and pipes, we need to condition the air. Stationary compressors produce air at a factory set pressure level. Most tanks are filled with air at 165psi. That's too high for most tools. You need to install a regulator. The regulator reduces the pressure in the system to a level set by the user. That's what we need to feed our tools air at the right pressure level. With compressed air comes water. The natural moisture contained in the intake air cannot be retained by the compressed air. If left in the pipes, the water will make it's way to the tools. 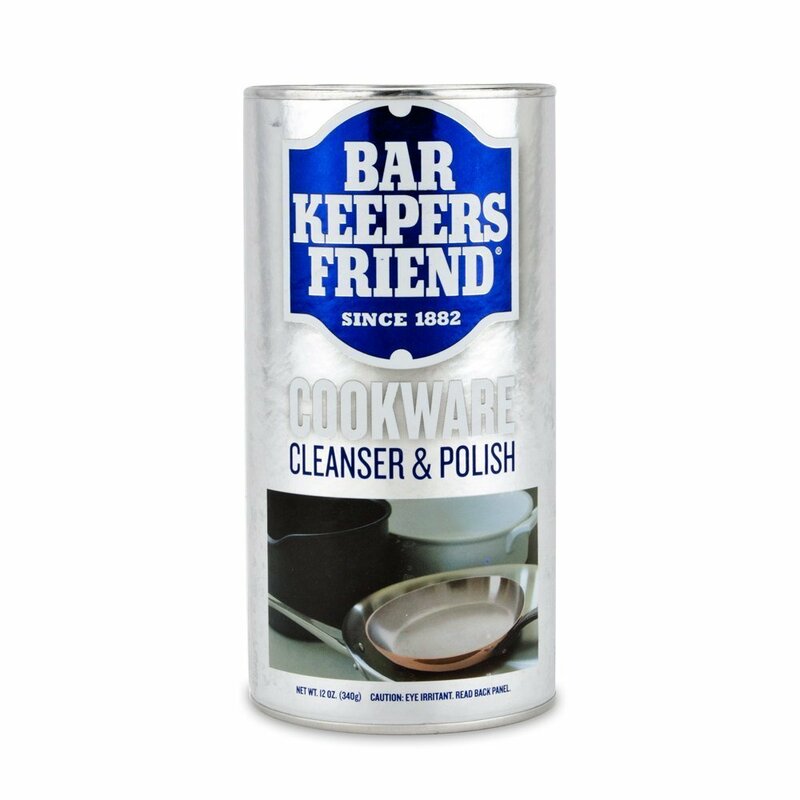 There the water will, at minimum, cause the tools to wear faster, and, at worst, ruin a spray finish. To combat this problem an air-drier should be installed in the air system. Large shops use chiller/driers for this purpose. These machine are very efficient. For the home shop a simple inline air/water separator works well enough. Most manufacturers sell regulator/water separator combo units. 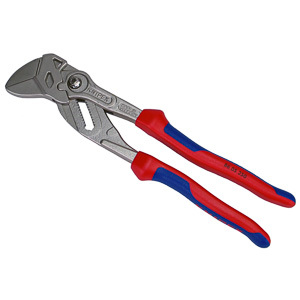 These are a great choice for residential shops. Besides air your tools need oil. On the jobsite oil is typically poured into the air inlet of the tools every morning. This works well enough, but is not perfect. Industrial shops and garages add the oil to the air in the piping using an inline lubricator. This way the tool gets a constant stream of oil and air, all in one. This is a good option for the residential shop as well as long as you limit where the oil can got. 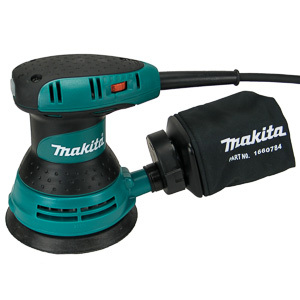 You do not want oil going to your spray gun. It's not needed there. 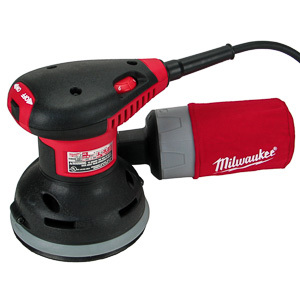 Your sander sure can use it. It's best to install the lubricator on separate branch. This creates oil-free and oil/air drops in your system. The oil-free drops are for spray guns. So far we have clean air in the pipes that is being constantly replenished by a powerful compressor. To get it to the tools we need drops. Drops are simple connectors branching off the main line. Your challenge is to place the drops where they are needed in the shop. 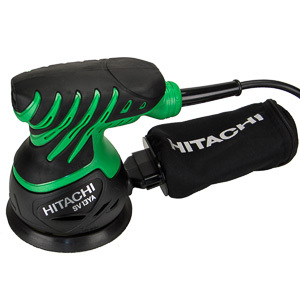 Ideally the layout allows the user to operate all tools using a relatively short hose. Most shops place a line around the perimeter with drops every ~8ft. A few drops on the ceiling can also be advantageous, especially if you have free standing work benches. At least one of the drops should feed a hose reel (or a future hose reel). The 50ft or so of hose stored in this reel are your backup plan for those few times during the year when you need air for something extra ordinary. For example, you might choose to work on your car and need air at the other end of the garage where you typically sore your lumber. The hose will get the air to where it is needed. 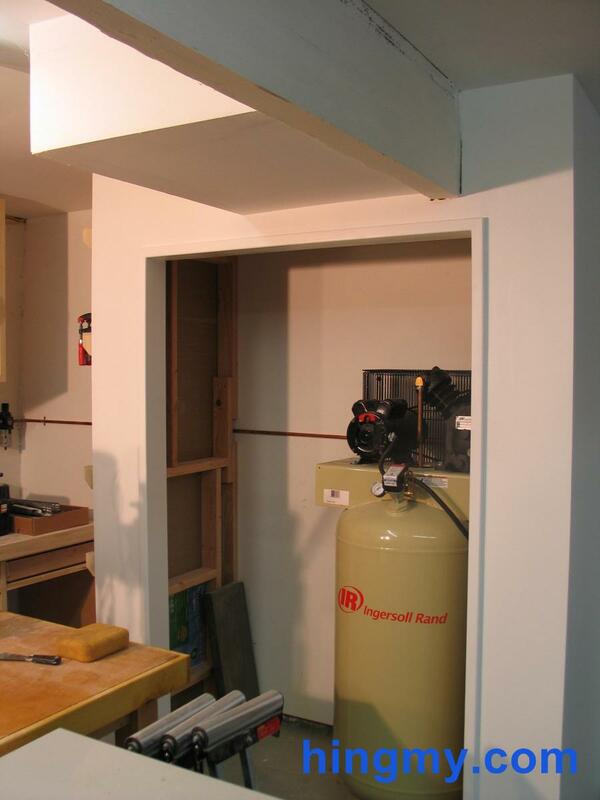 A shop air system is well within reach of the residential woodworker. Copper tubing and fittings are readily available at home centers. Joints are easily made and resulting installation will last for decades. The addition of a regulator, air dryer, and a lubricator will take your shop to the professional level. The material choice is made for you. All you have to do is plan the drops and plug in your compressor.